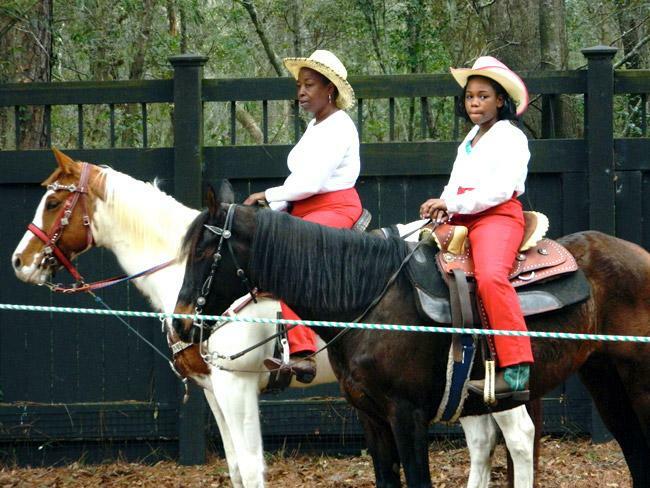 With thundering hooves the Black Cowboys close out the Gullah Celebration with the Marsh Tacky Exhibition showcasing the Marsh Tacky Horse. 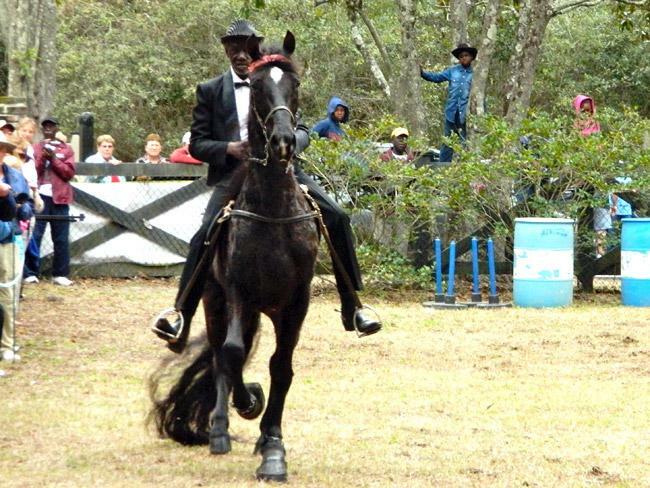 Horses of varied breeds were shown by the Black Cowboy Festival cowboys from Greenland Farm upstate, who came down to the Lowcountry to put on the show. 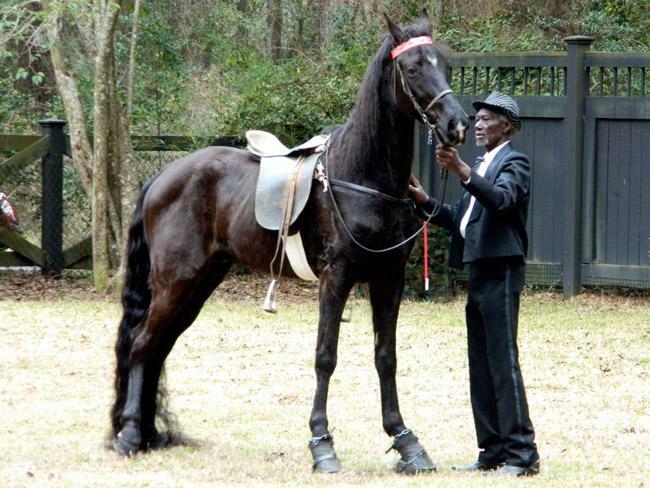 The standout was a yearling Tennessee Walking Horse with a shiny black coat, sweeping tail and jittery mannerisms. He was handled and ridden by a veteran trainer, Robinson. The yearling did not yet wear horseshoes so he couldn’t walk at length on different terrains, which could damage his hooves. Other horses were in groups of two ridden in slow gaits, fast gaits, and barrel races. 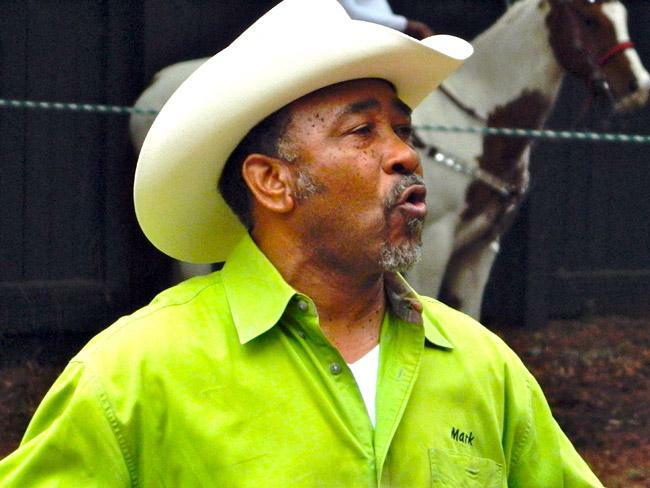 PHOTO 1: The announcer was Mark Myers, founder of The Black Cowboy: Man or Myth African American Cultural festival. PHOTO 2: Two of the women wait their turn in the exhibition ring. The youngest rider, shown here, was age 11, Myers’ granddaughter. PHOTO 3: Robinson soothingly speaks to the yearling before he steps into the saddle. The Walking Horse shuffles around, rears his head, kicks outwards once. The trainer gains control, then mounts the horse. PHOTO 4: Robinson rides the yearling gently past the curious onlookers fascinated by the horse’s elongated, wavy tail and untamed manner. 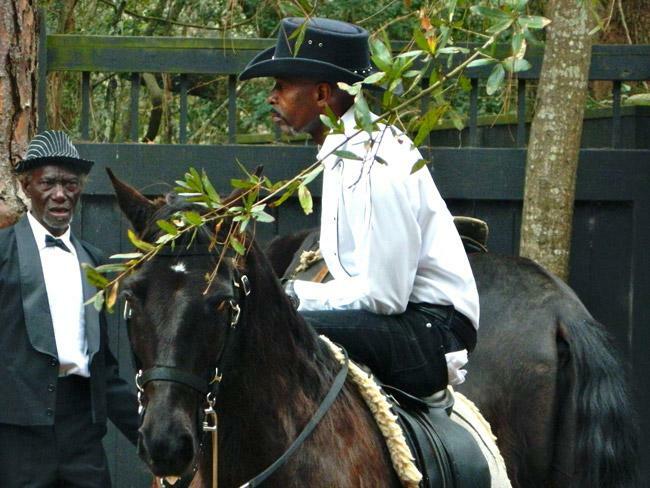 PHOTO 5: Black Cowboy horse whisperer and Black Cowboy rider resting between exhibitions.